Dana Wiyninger received a BS in Conservation of Natural Resources from the University of California, Berkeley in 1979. Following a career in local environmental regulation, she and her husband are restoring their forested land and traveling throughout North America. She is a member of the Order of Bards, Ovates and Druids (Druid grade), the Reformed Druids ofGaia, and the AODA (Druid apprentice). 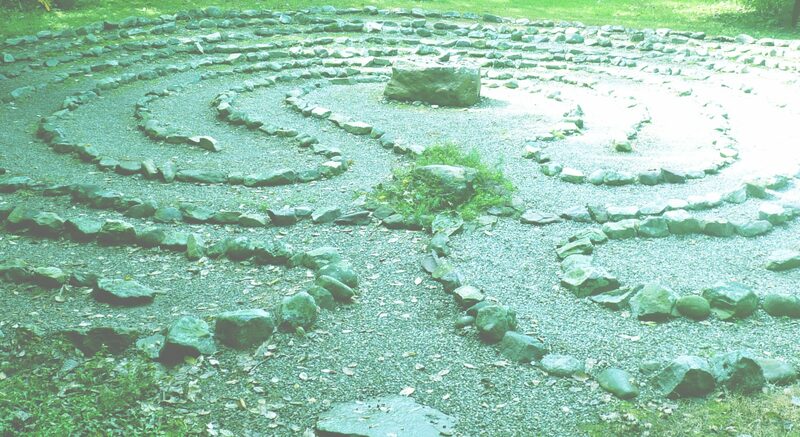 For the last decade her blog, Danaan: Sacred Nature, has explored nature and spiritual practice. She has also been a volunteer administrator of the unofficial AODA Facebook page since 2009. My Druid studies include the Ogham (or Ogam), an ancient Irish alphabet using sacred trees. Today, the Ogham has traditional and new symbolic associations; and while often used for divination, it is a wonderful tool for finding the sacred in the plants where you live. Note that the Ogham includes what we would call both plants and trees—I use the traditional “trees” here. The teachers in one of my Druid orders advised that I go out and physically find the Ogham trees, and with direct observation and communion learn their lessons directly before any study of established spiritual associations. This is fine direction when you live in the traditional area for these trees—Ireland, the United Kingdom, and thereabouts. Given the vast variation of plants across the world, seeking the Ogham trees is difficult for most of us. For example, the UK has four ecoregions, while Australia has forty, and the United States has over 104. I found myself in this quandary; not only did I not live in Europe, but I moved from California to Florida, states with widely varying ecosystems. The seventeen acres of forested Florida land my husband and I moved to had been unmanaged for nearly fifty years; we decided to restore it to a more healthy and natural state for wildlife and related uses. That process required consultations with foresters, study, formal training, and regular fieldwork. Luckily, learning about local plants and forest health was a good preparation for finding my own Ogham trees. Starting out, I did not know how far I would eventually go with my Ogham studies. As they progressed, I received inner urging from my guides to develop a local Ogham that could be shared. Even with all of the hard work, I found the study of the Ogham to be very worthwhile, and highly recommend finding your own trees in your ecoregion. Since I came up with my Florida Ogham(3) people have asked me about Oghams for their areas. While I know of a few local versions, not many are available (see my list at the end of the article). I have also been to a Druid gathering where we were discussing the yew in the Ogham (Ioho), and people said, “There are no yew trees here.” When I asked what local equivalent tree they did have, I got blank stares. I would like to help change that. So, in an effort to help others find an Ogham for their areas, here is the process I used to develop mine. I found I needed many steps just to find my local trees before I could start my formal Ogham studies. There are twenty-five or more Ogham trees, and I studied two to three times that many local trees; so working on a local Ogham can be quite involved. You may find other ways that work for you, or decide to break up your study into small Ogham letter (few) groups (aicme), but this should give ideas on how to proceed in developing your own area Ogham. Use elevation, plant communities, distance, climate zones (USDA zones in the United States), ecoregions, and the like to choose your area. Remember that the ancients did not have all of the Ogham trees in their literal backyard. Many of the Ogham trees are significant for the physical place they occupy (for instance, willow/Saille at the boundary of earth and water), and we need to travel to find them. This process may help you know your geographic area better, and you may find yourself changing how you define it for your Ogham. For example, my part of Florida has only one ecoregion, and forested areas have been relatively undisturbed, so I was able to find plenty of trees to study in my local area. Conversely, where I used to live in California was at the boundary of three ecoregions, in a landscape that had been drastically disturbed by historic gold mining, and with plant communities that differed with elevation. If I had continued my Ogham studies there I likely would have included a larger area along a swatch of northern California to the coast (in part to include the coast redwoods). You may find historical native trees that are extinct or rare, and you may want to acknowledge them in your Ogham. The Ogham is an integrated system, so finding trees that are in balance with your forest would be best, in my opinion. I had plenty of native trees to study in Florida, and chose not to include some plentiful and beautiful invasive exotic plants in my Ogham. With fewer types of related native trees in my area of northern California, I would have expanded my geographical region to find more prospects. Just realize that after you have gone through the process of finding specific trees, you might end up revising the types of trees to include. In preparation for finding your area Ogham, I found it useful to learn the plant family and growth characteristics of the traditional Ogham trees. This means learning about the fun world of scientific plant and plant family names in Latin, but there is a good reason to do this. Common names can be shared among many trees, so they can’t be used when you are trying to be specific. There can be huge variation across a single group, like oaks (family beech or Fagaceae, genus Quercus), which has about 900 species worldwide. You need to start by knowing what oaks the traditional Ogham uses before you go looking for a local tree. The botanical names of the traditional UK Ogham trees are available in my Florida Ogam (which are the ones used by the Order of Bards, Ovates and Druids, based in the UK), and John Michael Greer’s The Druidry Handbook, among other sources. For example, the traditional Ogham oak is often noted as being the Quercus rober or Quercus petraea trees—both large, spreading, long-lived, deciduous (losing leaves in winter), acorn-bearing oaks supporting a high diversity of other life forms. They are usually the dominant tree in their area (unlike many oaks elsewhere). I found local plant guides that were organized by plant family to be very useful, as plants in the same family or genus will share many growth, form, flowering, habitat, and other features. Looking up local trees before going out into the field will help; it will let you know if you have several candidates from the same plant family as the Ogham tree you are looking for, or if you will have to look harder for an unrelated plant that you find has similar characteristics. Using the example of oaks, you might find many oaks in your area but only one or two that are large, long-lived, deciduous, and home to lots of other plants and animals. If you don’t have local oaks you can look up other trees in the same family, or look for trees that share characteristics with the traditional trees. Researching your local plant guides will help you know where to start and how many local trees you want to investigate for each Ogham tree. Note that it is useful to run your alternate trees through the following steps in this article—you may find them useful to fill a gap in your Ogham later. This is where it gets fun! You take your guides and lists of candidate trees and go into your neighborhood, parks, nature areas, and botanical gardens (a great resource if you have one) and locate your trees. Some may be easy to find, along with many related candidates. Other trees might be absent, and you may have to find new alternatives in related genera, or in other plant families. I found taking notes and photos to be useful. I also started putting some of the information into spreadsheets after it came to me that I would be sharing what I found—keep the type of records that work for you. This is where living in an area for some time would be helpful. If you are born and raised in your area you may already know when trees leaf out, what fruits they have, how they sound in the wind, and the like. Observe all of these things for your candidate and alternate trees, and how they “feel” to you. This is when the nexus between the science of finding an Ogham tree candidate and the art of finding the tree’s spirit will kick in. Spend time with your tree; meditate with it; remember any associations you have for it. For example, what tree did you sit under as a child? How did it make you feel? In this culture and as adults we tend to lose this connection with our plants—you are now building these connections. Knowing your trees to some degree now, do you get any impressions from them? Try asking them if they have any messages for you. Write down any feelings, impressions, poems, or the like that come to you. Keep on visiting your trees. Even though I have steps after this one, it is this connection and relationship with your trees that is central to any Ogham. You may find that this stage will help you decide which tree to choose from several candidates, or make you broaden your search. Using the traditional associations as a check, you may find you need to reevaluate and find another local tree that more closely matches the traditional interpretation and growth characteristics for that Ogham tree. When this happened, I used alternate trees from my list, other trees that I put through the process (for fun), or did more research and put new trees through the above steps. You can take time to just go over your notes, check in with the trees themselves, and adjust to see how everything fits. This can include revising your geographic area; revisiting your native and/or exotic trees decision; finding new research resources; new field reviews; more observation of your trees through the seasons; and additional study of the traditional Ogham associations. (This sounds hard, but I do not think you will find it so by the time you’re at this stage.) Realize that as your area knowledge and connection grows you can revisit your Ogham and refine it in the future. By the time I developed my list, I was surprised that I was able to find similar plants for about half of the UK Ogham trees in Florida. But that means that the other half of my Ogham are from other plant families. In those cases, I was able to find native trees that had a similar form, growth habit, and impression as the traditional Ogham trees. I did run one exotic plant through the process—the camphor tree (Cinnamomum camphora)—but found it didn’t align with any Ogham tree (or even with a definable niche, which is probably why it is an invasive plant in north and central Florida). Of course, there are plenty of other plants that are worthy of study apart from use in an Ogham system. In the last year I have added more lore to some of my Ogham fews, and perceive that my Ogham studies will certainly continue. Greer, J. (2006). The Druidry Handbook. San Francisco: Red Wheel/Weiser. Ogham (2014) in Wikipedia. Retrieved from https://en.wikipedia.org/wiki/Ogham Paterson, J. (1996). Tree Wisdom: The Definitive Guidebook. London: Thorsons.